What better way to bring in the New Year than a jump on the competition? 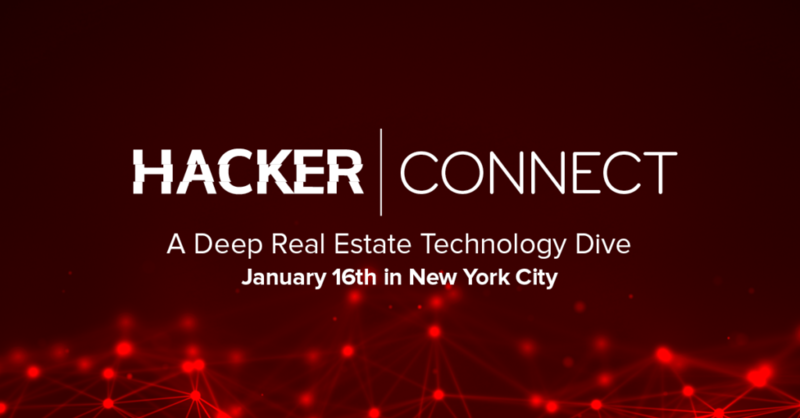 Inman’s Hacker Connect can provide just that for real estate techies, with discussions, debates and collaborative sessions that will reveal insights on some of the industry’s most pressing and upcoming tech issues. The event will kick off Monday, January 16, at Inman Connect in New York City. It has a robust list of engineers, developers, designers, product managers, database architects, webmasters and technology executives from around the world both speaking and attending. You can register here if you haven’t already, but for those still in the dark or undecided on what sessions to attend, here are some experiences you don’t want to miss. Peter Goldey will lead attendees through designing, marketing and aligning API to maximize software efficiency. Goldey was co-founder and chief information officer of Onboard Informatics, a real estate data provider with information on every property in the country. Now the founder of WitLytic consulting, he shares his data science experience to help real estate professionals use data collection, aggregation, delivery and integration to increase profits and productivity. Firat Parlak will show how designers are using human emotional intelligence and brain signals to bring more science to user interface design (UI) and user experience design (UX) to create more consumer-friendly web products. Parlak is the founder and creative director of Awesome, a a consulting firm that advises tech startups on UI/UX technology. His knowledge in the life support of webpages (UX) and their cosmetics (UI) is a powerful combination that helps startups with anything from minimum viable products to full scale. He founded The Loft, New York’s first exclusive co-working space for web designers, and the Awesome Design School, a program teaching UI and UX design. The importance of cybersecurity increases daily as more company information, personal data and transaction procedures are put online. The real estate industry is no exception, so Thomas Kinsella, DocuSign’s senior manager of threat intelligence and investigations, will teach attendees how defend and combat them. Kinsella detects and investigates attacks, including phishing, network intrusions and platform abuse against DocuSign, and leads daily operations in DocuSign’s Cyber Security Center of Excellence. He has also served as the principal investigator on eBay and PayPal’s investigations unit leading e-crime investigations for their 250-plus million users, and helped the FBI, United States Secret Service and international law enforcement investigate cyber crimes. Blockchain and Bitcoin are poised to transform real estate by cutting out middle men and upping fraud prevention with money 2.0 and smart contracts. While the real estate industry waits to decide, blockchain proponents say it can shield property records from destruction or tampering and streamline the title transfer process. Ragnar Lifthrasir, an early pioneer of applying bitcoin and blockchain to real estate, will walk the audience through a successful title and lien platform already using blockchain, and what to expect next from digital currency in the industry. Lifthrasir founded the International Blockchain Real Estate Association, a nonprofit dedicated to implementing bitcoin and blockchain to housing transactions, in 2013. His startup, velox.RE, recently partnered with Chicago’s Cook County Recorder’s Office to test blockchain for property conveyance and lien filing. Get ready for a meeting of the minds. 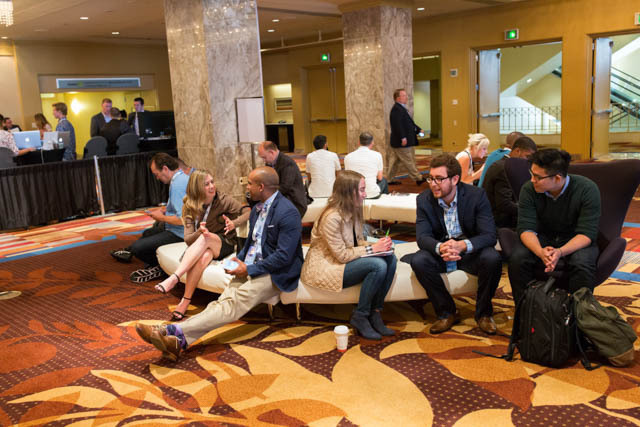 These group discussions will identify and dissect the industry’s hottest issues. Keynote speakers will help teams of attendees roll up their sleeves as they work to find solutions to the tech problems small companies face. Advancing VR Buy or Build?